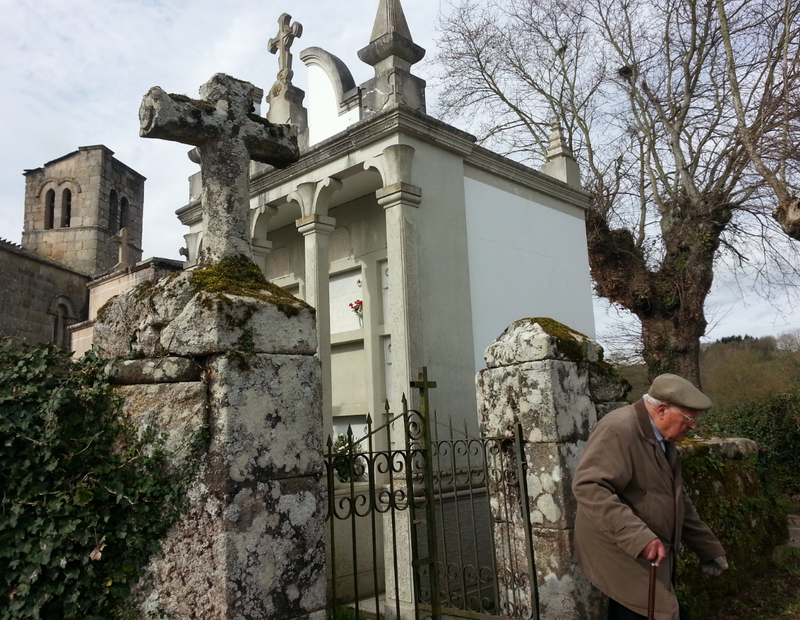 A good walk up, down, along Galicia roads through settlements that are not really villages. Approaching Barbados, I told MB that last year an old fellow was waiting to offer an visit to the nearby 9th century church. Sure enough, there he was waiting in his car at the turnoff. We stalled a little, reading the sign to suggest our interest, to give him time to get out of his car and come over. 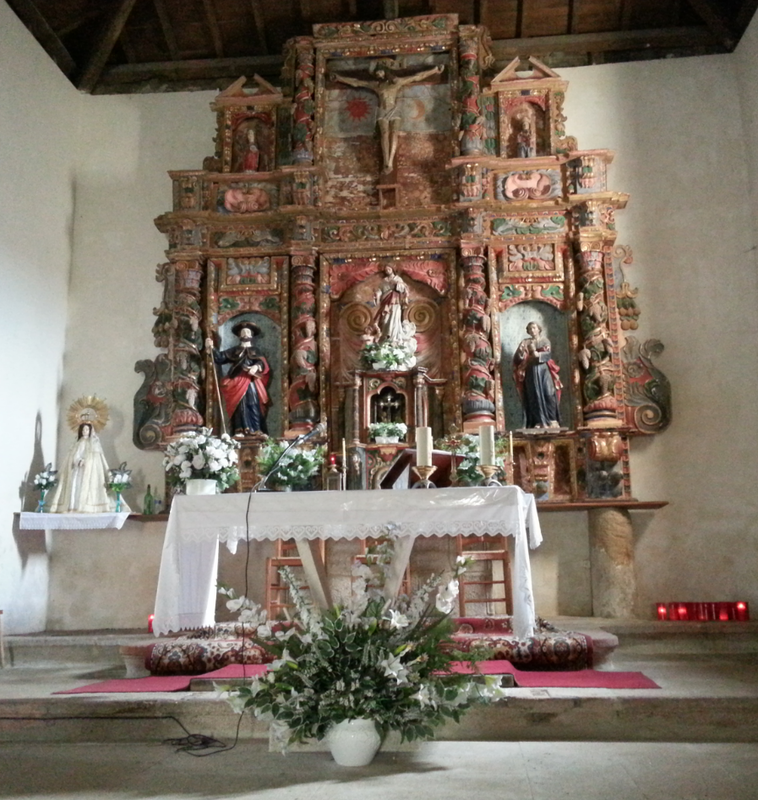 We walked together the 50 m off the road to the church, he answered a few questions and stamped our credenciales. The church was Roman but the front part (I don’t know the terms) was baroque 18th century. 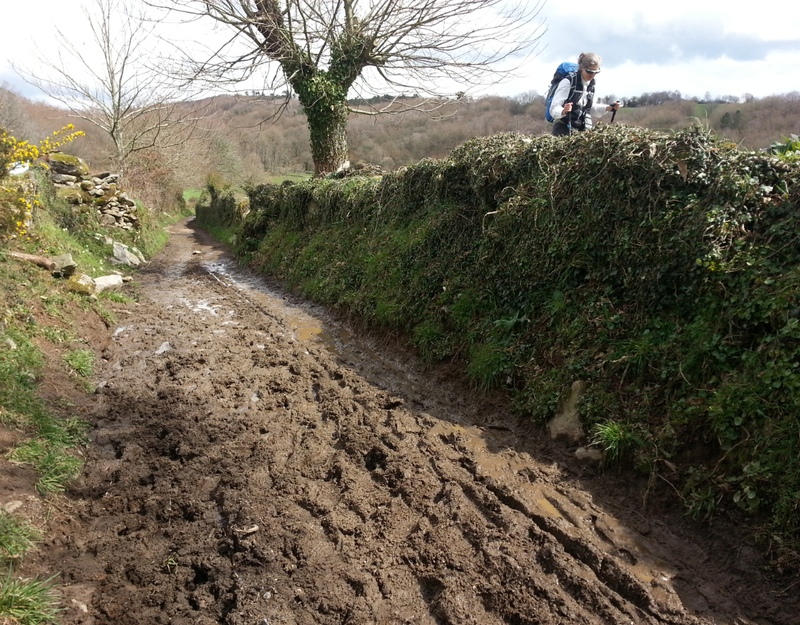 The going was slow through long stretches of puddles and mud. MB thought she was smart when she stepped over a crumbling fence and climbed up to high ground. There were cows on the other side and, unnoticed by us, a working dog that noticed the trespasser on the other side and started barking loudly. She got back in the mud as fast as possible! The dogs on the Camino Frances seem to be of 2 types – pets that couldn’t be more bored from having 250,000 people walk through their villages every year; and working farm dogs, who are not bored but they are busy. The working dogs are fascinating to observe, but they must be respected as they know where pilgrims are allowed and where they are not. About 5 km short of our vague goal, we were attracted into the lovely courtyard of Albergue Mercadoiro. 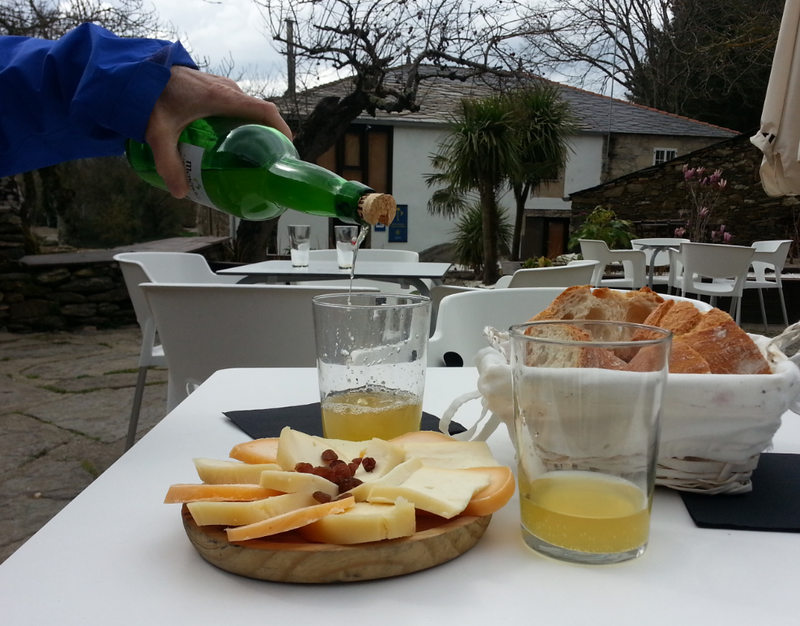 One large bottle of Galician cider and an excellent platter of Arzua cheese later, we decided to stay the night! We had the room to ourselves and the owner brought a heater to the room. For dinner we sat close to the fire. Maybe the dogs need to get back in the mood after the winter!